Germany’s Federal Ministry of Education and Research (BMBF) is providing more than 6.7 million euros to support the “Processes and Materials for More-than-Moore Electronic Systems” (PROMYS) project until 2021. PROMYS research is aimed at developing particularly small microsystems that are mainly intended for use in bioanalytical devices. 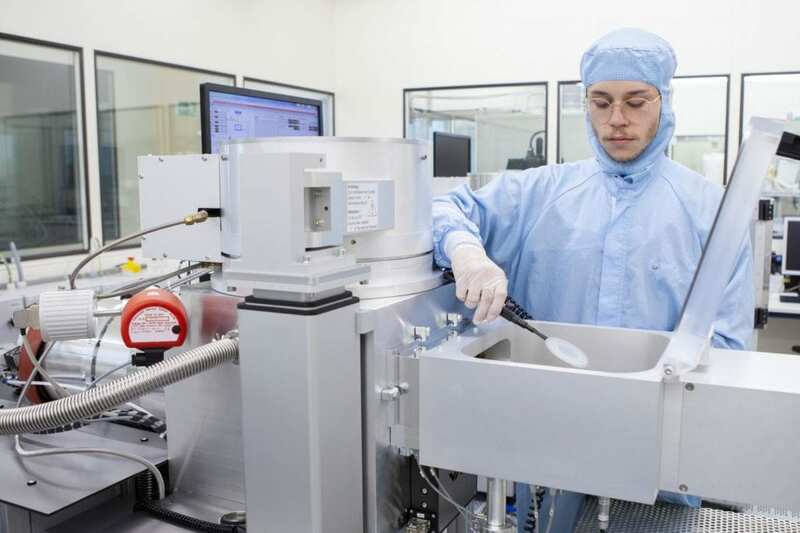 The Department of Microsystems Engineering (IMTEK) and the Department of Sustainable Systems Engineering (INATECH) of the University of Freiburg are working in cooperation with the Fraunhofer Institute for Applied Solid State Physics (IAF) to achieve their objectives. Prof. Dr. Gerald Urban of IMTEK is the coordinator of the PROMYS project. Integrated microsystems will play a decisive role as digitization progresses and transforms society. When applied in healthcare, for example, these systems pave the way for new, technical developments that will allow continuous medical monitoring of elderly, disabled, or sick people in order to provide them with rapid aid when they need it. To work properly, electronic systems for medical use need to detect biological parameters in implants or in wearables as for example in smart watches. New, compact microsystems offer the opportunity to make sensors more efficient, tolerable, and comfortable for those who use them. Up to now, these patients have needed to go to the doctor for many tests. This technology will allow the same task to be achieved with new types of analyses that can be carried out at home. PROMYS project researchers will integrate a range of semiconductor technologies into components in order to greatly reduce system size, use new functional materials, and provide a three-dimensional structure. Applications for other sectors, such as agriculture or for “smart homes,” are expected to evolve from this project. PROMYS is one of twelve projects in Germany funded by the BMBF as part of the “Forschungslabore Mikroelektronik Deutschland” (ForLab) (Microsystems Research Laboratory – Germany) project. Within the scope of ForLab, the ministry has made available a total of 50 million euros for microsystems research. Prof. Dr. Thomas Mikolajick of Dresden’s Technical University (TU Dresden) is coordinating work at all twelve sites. The Parliamentary State Secretary to the BMBF, Thomas Rachel, is presenting grant certificates to the research laboratories on 5 February 2019 in Aachen. Rachel emphasizes the key role Germany’s institutes of higher education have to play in the sustainability of the country’s innovation system. “By supporting Germany’s microsystems engineering laboratories, we are investing in the future. Maintaining technological sovereignty in the “Digital Age” requires top-flight equipment for first-class research in industry and academe as well,” said Rachel.